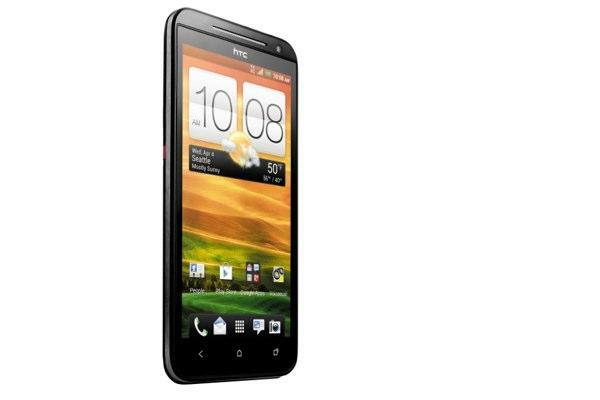 Sprint has finally confirmed the release date for its HTC EVO 4G LTE: May 18. Announced last month at a press event in New York City, one major piece of information was missing for this variant of the HTC One X, and that was when the heck folks could pick one up. We started hearing May 18 was the day around the middle of last month, but that seemed a tad odd as it was a Friday and Sprint is known for its Sunday releases. Thanks to a press release that hit this morning, we now know that Friday May 18 is indeed the day, and you can expect to pay $199.99 with a two-year contract. Pre-orders have already kicked off, so if you want to pick one of these bad boys up, you should probably go ahead and get in line right about now. OVERLAND PARK, Kan.–(BUSINESS WIRE)–Sprint (NYSE: S), the only national wireless carrier offering truly unlimited data for all phones while on the Sprint network1, and HTC, a global designer of smartphones, announce the Friday, May 18, availability of the next evolution of the award-winning HTC EVO™ family, HTC EVO™ 4G LTE. It will cost $199.99 with a new line of service or eligible upgrade and two-year service agreement (excludes taxes). Pre-order began May 7 at www.sprint.com/evo4glte. "HTC EVO 4G LTE sets the benchmark for Android devices this year with its incredible 4.7-inch screen, advanced camera features and future HD voice capabilities when combined with the speed of Sprint's upcoming 4G LTE network," said Fared Adib, vice president-Product Development, Sprint. "Its cutting-edge technology pairs perfectly with Sprint's unlimited data plans to let our customers enjoy their wireless experience without worrying about overage charges or throttling." HTC EVO 4G LTE is built on Android™ 4.0, Ice Cream Sandwich, integrated with HTC Sense™ 4. It focuses on exceptional improvements in camera technology, audio and voice quality on both the network and device. HTC ImageSense™ brings improvements to every part of the amazing camera experience featuring a superfast autofocus to enable continuous shooting, the ability to capture still images while taking video, and increasing the quality of photos taken in adverse conditions such as low light, no light or with bright backlighting. HTC EVO 4G LTE is Sprint's first device with HTC's Authentic Sound experience integrating Beats Audio™. The technology enables customers to hear music the way the artist intended with unique audio tuning that delivers thundering bass, soaring midrange and crisp highs. Beats Audio is enabled across the entire phone experience, including playing music stored on the device, streaming from a favorite service, watching a movie or YouTube™ video, or playing the latest hot game. HTC EVO 4G LTE boasts brilliant features, including a vibrant 4.7-inch HD display, future HD voice capabilities2, 2000mAh embedded battery and 8-megapixel rear-facing and 1.3-megapixel front-facing cameras. It is powered by the Snapdragon™ S4 processor by Qualcomm, delivering best-in-class performance and a power efficient platform for exceptionally long battery life. HTC EVO 4G LTE brings back the fan-favorite kickstand built into the smartphone's refined, slim design. "With the HTC EVO 4G LTE, we're launching a true successor the original EVO, bringing a focus on innovation, design and industry-leading consumer experiences," said Martin Fichter, vice president, product management, HTC America. "The millions of current and new EVO fans will appreciate our amazing camera that's superfast, easy-to-use and takes video and photos at the same time as well as our enhanced audio experience that you need to hear to believe." HTC EVO 4G LTE customers can enjoy an unlimited data experience with Sprint Everything Data plans. Sprint's Everything Data plan with Any Mobile, AnytimeSM includes unlimited Web, texting and calling to and from any mobile in America while on the Sprint Network, starting at just $79.99 per month for smartphones – a savings of $40 per month versus Verizon's comparable plan with unlimited talk, text and 2GB Web, or $10 per month savings versus Verizon's 450-minute plan with unlimited text and 2GB Web (excludes taxes and surcharges). As part of the HTC EVO 4G LTE launch, Sprint will be giving customers a chance to share their LOVE on Facebook. To learn how you could enter for the chance to win UNLIMITED LOVE, make sure to visit Sprint's Facebook page on May 18 for details. Sprint recently announced Atlanta, Baltimore, Dallas, Houston, Kansas City and San Antonio are expected to have 4G LTE and enhanced 3G service in mid-year. The anticipated launch of these large metropolitan areas demonstrates the continued commitment by Sprint to invest in its network through Network Vision. Sprint customers in these areas will soon enjoy ultra-fast data speeds and improved 3G voice quality. For the most up-to-date details on Sprint's 4G LTE rollout, please visit www.sprint.com/4GLTE. Sprint Nextel offers a comprehensive range of wireless and wireline communications services bringing the freedom of mobility to consumers, businesses and government users. Sprint Nextel served more than 56 million customers at the end of the first quarter of 2012 and is widely recognized for developing, engineering and deploying innovative technologies, including the first wireless 4G service from a national carrier in the United States; offering industry-leading mobile data services, leading prepaid brands including Virgin Mobile USA, Boost Mobile, and Assurance Wireless; instant national and international push-to-talk capabilities; and a global Tier 1 Internet backbone. Newsweek ranked Sprint No. 3 in its 2011 Green Rankings, listing it as one of the nation's greenest companies, the highest of any telecommunications company. You can learn more and visit Sprint at www.sprint.com or www.facebook.com/sprint and www.twitter.com/sprint. Founded in 1997, HTC Corporation (HTC) is the creator of many award-winning mobile devices and industry firsts. By putting people at the center of everything it does, HTC pushes the boundaries of design and technology to create innovative and personal experiences for consumers around the globe. HTC's portfolio includes smartphones and tablets powered by HTC Sense™, a multilayered graphical user interface that vastly improves user experience. HTC is listed on the Taiwan Stock Exchange (TWSE: 2498). For more information, please visit www.htc.com.